July soybeans closed at $12.01, up 5 cents November soybeans ended at $9.91, down 11 cents, further widening the old crop/new crop spread. Weather forecasts are good for a timely conclusion to new crop planting progress, but continued Chinese buying supports old crop prices. Next week's USDA report is also expected to be bearish for new crop, but that doesn't change the old crop fundamentals. Interesting. It is easy to envisage old crop prices moving higher, maybe even substantially so on technical factors, but new crop must be the biggest sell of all-time. IMHO. July corn finished at $3.84 ¼, up 1 ¾ cents, whilst December corn finished at $4.04 ¼, up 2 ¾ cents. So far this week, weather throughout the Corn Belt was beneficial to crop development, which weighed on futures. Hot AND wet is good, one without the other is maybe not so good. Next week calls for much cooler temperatures to return to at least the northern Midwest, with temperatures reaching 4 to 16 degrees below normal from Minnesota to Ohio, according to QT Weather. CBOT wheat settled at $5.34.1/4, up 1 ¼ cents. Hot and dry conditions, with some periods of showers over much of the Plains this week and forecast to continue this weekend, is beneficial to winter wheat harvest and spring wheat development. Old crop stocks continue to weigh, but lower new crop production is supportive. Traders are looking ahead to the June 30th USDA planted acreage report, where average trade estimate for 2009 spring wheat planted acreage is forecast at 13.102 million. EU wheat futures closed the week relatively flat Friday, with Paris November milling wheat ending unchanged at EUR141.50/tonne, and London November feed wheat closing GBP1 higher at GBP113.75/tonne. Contracts are stuck in a sideways pattern, depressed by old crop stocks and the impending harvest, but supported by lack of farmer selling at sub-production levels. Something has to give at some point, if things go on like this then we will see plantings, and inputs, for 2010 cut even further. Unlike in 2008/09 we won't have the luxury of large carry-in stocks either, plus there will be large increases in off-take from the biofuels sector. What can I say? I've been inundated with emails telling me that my original Jacko post needs to be reinstated. unfortunately it was done off the cuff at around 9am Friday morning after a tip off from my Malpas correspondent, whose name I can't divulge under threat of a fatwa, so let's just call him Mr Waterhouse for now. Subsequent funnier than my own postings (I mistakenly thought) incoming emails, texts etc led to me doctoring the original post throughout the day. I'm sorry, the original is lost forever. It did contain stuff about him turning his nose up at his breakfast, looking pale without anybody noticing and his bezzie chum and fellow bender of spoons Uri Geller being distraught. Oh, and rumours of a duet with Farah Fawcett being unconfirmed. Bummer, that's all I can remember. Did I do the one about the McJacko Burger? A fifty year old piece of meat nestled in a seven year old bun? No, I thought not. Apols, but I am still available for a summer season & panto bookings are now being taken. It's a roller coaster ride for US weather at the moment. This week saw 99F in Illinois on Tuesday, 98F in Michigan on Wednesday and 96F in Ohio yesterday. It was even hotter in Missouri, Tennessee, Arkansas and Louisiana as max temperatures are averaging 4-10 degrees F above normal for the week, according to Allen Motew of QT Weather. The good news is that along with the heat, rain has been plentiful in many locations. It's all change next week though, as the heat dome drops southwestward and cold air and additional rain moves into the Corn Belt, says Allen. Next week, temperatures will reach 4 to 16 degrees below normal in northern parts of the Midwest from Minnesota to Ohio, he adds. After that heat returns the following week (the second week of July), as the heat dome rebuilds in the Plains and Corn Belt. Besides this, the Gulf of Mexico’s second tropical storm may arrive early next week too, he concludes. 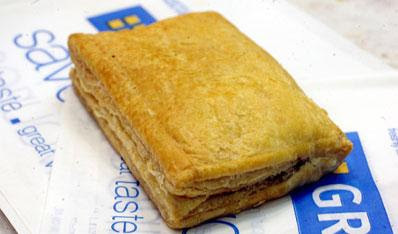 The pastie-eating militant construction workforce at the Ensus bioethanol plant on Teesside have voted to return to work on Monday, after a deal was thrashed out by union leaders at the Total-run Lindsey refinery in Lincolnshire. The deal at Lindsey will see the reinstatement of 647 of the sacked employees, and will be put to the workers on Monday (there's no point spoiling a nice weekend by going back on a Friday is there?). Workers in the sympathy strike at the Ensus plant in Wilton said that they would have gone back today, but had decided to take the day off instead as a mark of respect to sadly deceased construction icon Michael Jackson, as many were too distraught to lift a spanner. Instead, union leaders said they've "headed off into town for a bit of a wet like, and a couple of Greggs pasties, it's what Jacko would have wanted". The overnights closed firmer, with soybeans around 13 cents higher on old crop and 5-6 cents up on new crop. Wheat closed around 2-3 cents firmer, with corn up around a cent or so. Crude oil is firmer after rebels attacked a pipeline in Nigeria, and the dollar is weaker after China again appealed for a new "super-sovereign" currency. For soybeans, old crop stocks remain tight and China (and others) keep coming back to the trough keeping big front-end premiums. For new crop it's a different story with the USDA expected to raise planted area next week to 78.305 million acres from 76.024 million in March, according to the average trade estimate. With sharply higher plantings and output also expected from South America later in the year, the supply side should look a whole lot different in 2010. For corn, the trade estimates the USDA coming out with a planted area of 84.158 million acres, down from 84.986 million in March, although some estimates are considerably lower (the lowest being 82.474 million). The magnitude of exactly how much lower the USDA go than March will influence what happens to corn thereafter as it could potentially cut next year's ending stocks quite sharply, which would obviously be long-term bullish. For spring wheat the average guess is 13.102 million acres got planted, down 202,000 from March, and a lot less than was being predicted back at the beginning of May. Egypt bought snubbed US wheat in favour of French wheat last night. South Korea have bought 25,300 MT of US wheat. Early calls for this afternoon's CBOT session: old crop beans up 10-15 cents, new crop up 2-4 cents; corn 1-2 cents higher; wheat 2-4 cents higher. The International Grains Council (IGC) said today that poor rainfall and adverse weather conditions in some countries is likely to dent global food grains production in 2009-10 by 66 MMT to 1,715 MMT from 1,781 MMT a year ago. 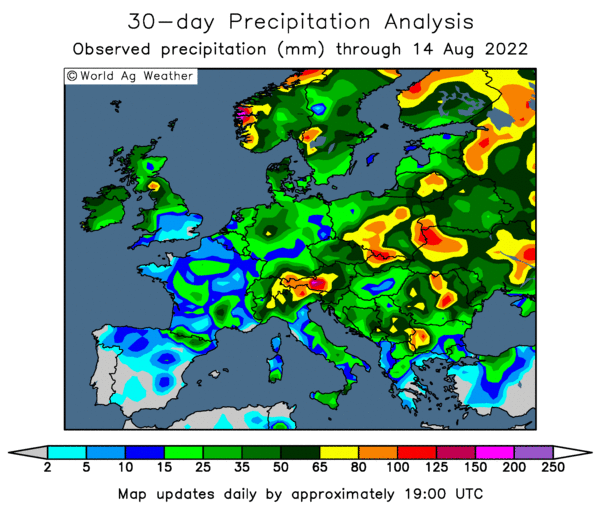 Insufficient rain in the European Union and Argentina, and wet weather conditions in North America have reduced crop output. The growth of wheat in parts of Western Canada and northern US continued to lag under cool and wet conditions, it said. 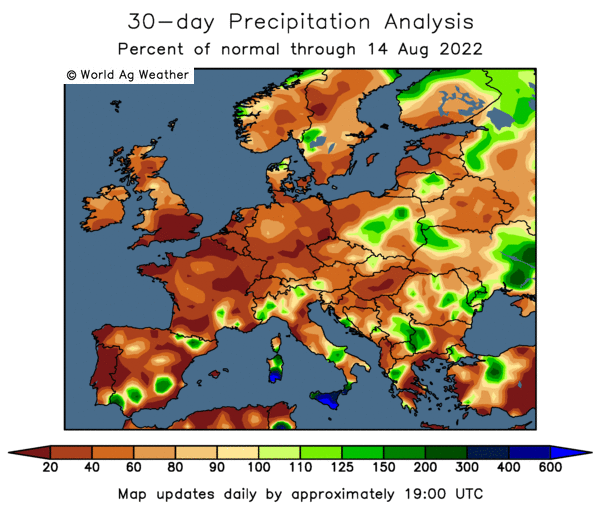 Poor weather during the maize planting season has reduced sowing in the US, it said, adding that severe drought in Hungary and Romania earlier in the season has also reflected in reduced crop estimates. Meanwhile in India, the lower than normal monsoon forecast by the weather department is expected to have impact on sowing during the Kharif season, this year. The UK body's forecast comes after the UN agency World Meteorological Organisation warned that there is more than 50 per cent chance of El Nino happening this year. The pound has bucked up this week as those foolhardy forex traders get a whiff of risk appetite returning. Yesterday’s pick up in risk appetite is contrary to the weak fundamental data that is emerging from Asia as a global recovery came under question. A record 1.1% drop in Japanese inflation helped rekindle these concerns. The BoE has recently warned that UK banks may need to curb lending by as much as 500 billion pounds over the next four years as the government removes aid. This could limit future growth for a country as it is already facing the prospect of an increasing tax burden. This pick up in risk appetite has weighed on the dollar, along with renewed appeals from the People’s Bank of China for a so-called “super-sovereign” currency. China, and Russia too, are becoming increasingly concerned about the size of dollar-denominated assets that they hold. "An international monetary system dominated by a single sovereign currency has intensified the concentration of risk and the spread of the crisis," says the PBOC. A China Daily article estimates that 70 percent of China’s $1.95 trillion foreign exchange reserves are in US dollars. Whilst the idea of a super-sovereign currency makes sense, the US would probably veto any replacement of the US dollar, which enables it to borrow more easily. I can see it happening in the long-run but not anytime soon. China has got itself caught between a rock and a hard place, it can hardly cash-in it's $1.5 trillion just like that without causing a massive run on the dollar, thereby causing the very thing it is trying to avoid. Slowly, slowly, catchy monkey. With fried rice, please. In possibly his most outrageous publicity stunt yet Whacko Jacko has shuffled off this mortal coil overnight at the ripe old age of fifty. The news comes just weeks before the obligatory comeback tour to pay off crippling debts. Apparently my original post was funnier than my subsequent tweaked version, but unfortunately the original one has been lost in the internet ether. The original one contained stuff about him turning his nose up at his breakfast, looking pale without anybody noticing and his bezzie chum and fellow bender of spoons Uri Geller being distraught. Oh, and rumours of a duet with Farah Fawcett being unconfirmed. Did I do the one about the McJacko Burger? A fifty year old piece of meat nestled in a seven year old bun? We'll all miss you Michael. Shine on you crazy moonwalker. Is it just me or do you hate being told how much cheaper Asda are than Tesco during every commercial break? Tesco have clearly decided if you can't beat 'em join 'em judging by my televisual viewing last night, with Neil Morrissey gleefully informing me how much cheaper than Sainsburys they are. I also had to do a quick double-take but I'm sure that the irritating tosspot then went on to tempt me with the offer of a chicken for two quid. Two quid? That was just a penny more than the punnet of strawberry's he was trying to push my way. There was no mention of the origin of said chicken, or the standards by which it had been raised. Nor, indeed, exactly how much they had managed to screw the poor farmers supplying said two quid chickens into the ground by for the dubious honour of providing these birds. Lets get something straight. I don't need Neil chuffing Morrissey offering me a two quid chicken, or anything else for that matter. I think you can guess what I'd like to do to Neil Morrissey with a two quid chicken. I don't want Alan the Kopite Hansen and Lulu advising me on my nutritional intake either. And I certainly don't want to be taking advice on party nibbles from a bloated trout like Kerry Katona and a batty boy like Jason Donovan. If you want to persuade me to buy something get Sarah Beeney in. Licking cream from the corner of her mouth would be a start, or accidentally spilling chocolate fondue all down her front and having to remove her shirt. That's what I want to see, that's what the people want, the first supermarket that brings that in can have my business no questions. Crude oil moved back above $70/barrel late Thursday after news of a militant attack at a shell refinery in Nigeria. Nigerian militant group MEND attacked the Bille-Krakrama pipeline, halting supplies from Shell’s Cawthorne 1, 2 and 3 oil-pumping stations. Firmer Asian stock markets, on spillover from Wall Street closing almost 200 points higher last night, also lent support as too does a weaker dollar. At 8am BST August WTI crude was standing 92 cents higher at $71.15/barrel. EU wheat futures closed with little change Thursday, Paris November milling wheat ending down EUR0.50 at EUR141.50/tonne, and London November feed wheat closing flat at GBP112.75/tonne. Egypt bought 60,000 MT of French wheat today, which buoyed the market a little, exactly why they passed on Russian and other Black Sea origin grain is not immediately clear, but pass they did. Still, new crop is just around the corner so it is difficult to envisage a significant rally just at the moment. In the US harvesting of winter wheat is also underway, with cutting extending as far north as southern Kansas, which is also depressing the US market although early yield reports are less than encouraging. July soybeans closed at $11.96, up 11 cents, and November soybeans ended at $10.02, down 6 cents. The bullish old-crop, bearish new-crop story continues. The USDA's weekly export sales report was bullish for old-crop beans, confirming the ever-presence of China. For new-crop however, it looks like high bean prices and early wetness in the Midwest will lead to the USDA revising it's plantings estimates up anywhere from 2.5-3.5 million acres next week. July corn finished at $3.82 ½, down 4 cents. Weather forecasts this week throughout the Corn Belt are seen as beneficial to crop development, which weighed on futures. Higher crude oil futures and a lower US dollar index lent outside market support. Weekly export sales were pretty strong, which was supportive, as too are ideas that the USDA will cut it's 2009 corn planting estimate by up to 2.5 million acres next week. Firmer crude oil, which popped back up above $70/barrel, also helped corn today. July wheat settled at $5.33, down 6 ¾ cents. Hot and dry conditions forecast over much of the Plains this week is beneficial to the winter wheat harvest, which weighed on futures today. Harvest pressure is also coming from eastern Europe, plus Egypt bought French wheat today in an export tender. Next week's USDA report is anticipated to show spring wheat plantings in the US down by around half a million acres. In an interesting turn of events, Egypt's state wheat buyer GASC bought 60,000 MT of French wheat in a tender today. The wheat reportedly came from Soufflet at $191.44/tonne FOB. That's the first wheat Egypt has bought since April 30th, and the first since problems with quality of Russian and other origin wheat. The overnight grains were mixed, with old crop beans around 3-4 cents higher and new crop months around unchanged; wheat closed 4-5 cents lower and corn 2-3 cents easier. Whilst I can whip up some enthusiasm to buy wheat or corn further forward, there is precious little to encourage anyone to look at soybeans. Farm Futures magazine were the latest to emerge with an estimate for US plantings for the 2009/10 crop, coming out with the highest number yet of 79.631 million acres. That's around 3.5 million acres more than the USDA's last estimate in March. Two and a half million of those acres will come from corn, they say with another half million or so coming from reduced spring wheat plantings (12.86 million acres compared to the USDA's forecast in March of 13.304 million acres). The rest I assume will be coming from double-cropping straight after winter wheat, and/or other crops such as cotton. Wheat is suffering from harvest pressure. although the yields and quality coming out of Kansas right now could be better. 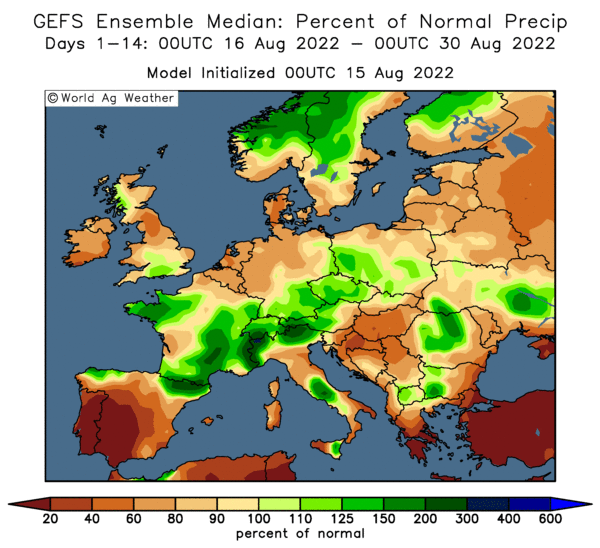 I think that maybe there is a perception that things will gradually improve as the harvest pushes northwards, away from the areas worst affected by drought and the early April freeze. In Argentina less than a million hectares of wheat are in the ground according to the Buenos Aires Grain Exchange, yet they are almost two thirds through their optimal planting period, and the exchange currently has them down to plant a tad under 3 million hectares in total. The way things are looking they're going to end up with a crop the size of the Belgium's before long! The USDA report export sales for the period June 5-11 of 268,800 MT of wheat (within the expected range of 200,000 to 400,000 MT); 1.14 MMT of corn (600,000 - 1,000,000 MT expected) and 250,700 MT of beans (forecasts ranged from 50,000 to 450,000 MT). On the soybeans front 145,700 MT of those sales were old crop, of which China took a net 49,400 MT, plus they also took 60,000 MT of new-crop. Actual exports during the week were 392,800 MT for wheat, 817,900 MT for corn and 349,400 MT for beans. China was the principal home taking delivery of 164,400 MT. So old crop bean sales are still being made, and China is still around buying and taking delivery, which will continue to keep things nice and tight until new-crop. 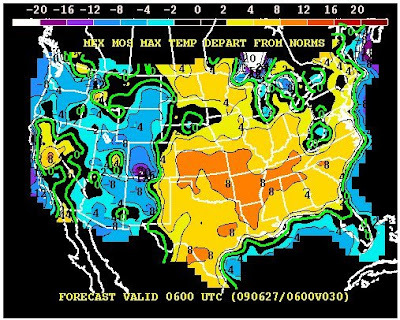 On the weather front as the Midwest and South bakes, the northern Plains and Great Lakes continues to be “too cool” as measured by “heat units” or GDD’s (Growing Degree Day Units), says Allen Motew at QT Weather. Large departures from normal continue from the Canadian Prairie across the Western Corn Belt and Great Lakes. Lack of heat units potentially brings crop maturation problems and late season woes, especially across those areas that started slow, he warns. Crude oil and the dollar are a little higher, Wall Street is expected to open slightly firmer. Early calls for this afternoon's CBOT session: corn called 2 to 4 lower; wheat called 2 to 5 lower; July soybeans called 2 to 3 higher, November soybeans 1 to 4 lower. Have You Seen My New Widget? It truly is a thing of beauty, just below the ads on the right hand side, bringing you more market prices, charts and forex rates than you could shake a mucky stick at. It's been quite a while in the production stage, but now it's finished it does look rather gorgeous doesn't it? If you fancy something like that on your website for a modest sum then drop me an email. Or maybe I could put your company logo on there for a fee? If you've got a really cool phone with t'internet access it might just work alright on there too, to give it a try point your iPhone or CrackBerry at http://tinyurl.com/nog123 and let me know how the baby looks. "Scientists in Canada and around the world are racing to find a way to stop a destructive fungus that threatens to wipe out 80% of the world's wheat crop, causing widespread famine and pushing the cost of such staples as bread and pasta through the roof." Christ! I've heard that there might still be a bag of flour left at Aldi in Montrose if you hurry. There's no mention of any disruption in the global supply of pasties though. Construction workers at the Ensus bioethanol refinery on Teesside are still out on strike this morning, according to the BBC. Around 1100 workers walked out on Friday in sympathy with sacked workers at the Total refinery in Lindsey, and have so far failed to return. Bunge have announced the opening of a new Brazilian soybean processing facility in the municipality of Nova Mutum in the state of Mato Grosso. The plant will be the second largest of Bunge's twenty-eight facilities in Brazil, with an annual capacity to process 1.3 million tonnes of soybeans. It's a case of Happy Birthday today after Clinton's Cards have agreed to buy 196 Birthdays stores, saving almost 1,500 jobs. DSG International, owner of Curry's and PC World, has announced a £140.4 million annual loss. Woolies are back! You can now buy your pick n mix and all those WWF action figures that you love online, after Shop Direct, part of Littlewoods, paid somewhere around £5-10 million for the name. Ford is increasing the price of it's cars in the UK by around 4% blaming an ailing pound for it's third price increase this year. Great idea, that will have them banging the doors down for a new motor! The US Federal Reserve left interest rates unchanged as expected last night, but came out with a rather bullish accompanying statement about recovery that sent the dollar higher. In contrast, the sight of a rather glum Mervyn King on the TV last night, I thought he was going to burst into tears at one point, suggesting that he hasn't got a clue when things will pick up in the UK has set the pound lower. Crude is higher this morning, just under $69/barrel, after last night's US Energy Dept data said that crude stocks fell last week, although gasoline inventories rose almost 4 million barrels. US farmers could plant close to 80 million acres of soybeans this year according to Farm Futures magazine, that's around 3.5 million acres more than the USDA's last estimate in March. In the run-up to next week's USDA plantings report, they peg 2009 seedings at 79.631 million acres, higher than recent estimates from Informa Economics of 78.869 million acres, and Allendale's 78.484 million. Back in March the USDA forecast soybean plantings at 76.024 million. As with Informa, but unlike Allendale, a switch from corn is responsible for most of these extra acres, US farmers reduced their intended corn plantings by 2.5 million acres say Farm Futures. They peg the coming season's corn area at 82.47 million acres, compared to the USDA’s March estimate of 84.986 million. Informa say corn acreage will come in at 83.111 million, whilst Allendale go for a much larger 84.775 million. As well as reduced corn seedings, spring wheat plantings are also seen lower by Farm Futures as the wet spring weather frustrated farmers' attempts to get a timely crop into the ground. Spring wheat will occupy 12.86 million acres this year they say, that's 3.3% lower than the USDA's forecast in March of 13.304 million acres. EU wheat futures continued to drift lower Wednesday with November Paris milling wheat ending down EUR1.25, at EUR142.00/tonne, and London November feed wheat closing down GBP2.00 at GBP112.50/tonne. We've got bigger than normal carryover, and an impending harvest, plus a tendency for markets to normally bottom at this time of year. Certainly prices have come a long way in a very short space of time. July soybeans closed at $11.85, up 6 cents. November beans finished at $10.08, up 3 ½ cents. Why new-crop beans have rallied this last two days is totally beyond me. This market seems to be gearing to be the biggest sell of all-time. Export sales estimates for tomorrow’s USDA report are equally diverse, with forecasts ranging from 50,000 to 450,000 for soybean export sales. July corn closed at $3.86 ½, down 2 ½ cents, and December corn at $4.07 ¼, down 2 ¼ cents. Weekly export sales trade estimates range between 600,000 and 1,000,000 MT. Corn is treading water until next week's USDA acreage report, crude oil was a tad weaker, and the dollar a little stronger, which added some bearish tones. Hot, humid and damp is a good recipe for decent crop development over the next week or so. July CBOT wheat closed at $5.39¾, down 7 cents. Harvest progress and pressure from outside markets knocked wheat futures lower today. A US Senate report into speculators activity in the wheat market caused some concern. Export sales estimates for tomorrow’s USDA report range between 200,000 to 400,000 MT. Egypt announced after the close that it was in the market for 55-60,000 MT of wheat on a free on board basis. Argentine farmers have planted just 923,000 hectares of wheat so far this season, according to the Buenos Aires Cereals Exchange. To put that into perspective, the country normally plants wheat from the beginning of early May through to the end of July, so we are around 2/3rds of the way through the planting season. Plus they planted 4.2 million hectares last year that finally produced 8.3 MMT of wheat. They've got less than a million hectares in, during the first 60% of the planting year. The Buenos Aires Cereals Exchange hope that they will plant 2.9 million hectares this year, so they need to get 2/3rds of the remaining unplanted acreage in in the last 1/3 of the timeframe open. It's not going to happen is it. Chuck into the mix the ongoing drought and the lack of satisfaction with government tinkerings with export restrictions, and "official" sources of production next year of 9-11 MMT look like total pie in the sky. Production this year could easily fall to 4-5 MMT, maybe even less. Do the maths. One of my regular blog readers is looking for Butter Oil (99.6% pure butter fat), deld UK in bulk tankers, if anyone has a source of supply please email me. The overnight markets showed little change Wednesday, with beans closing around 1-3 cents lower, corn narrowly mixed and wheat around 4-5 cents higher. Crude oil and the dollar are weaker and Wall Street is expected to open slightly higher. The American Petroleum Institute yesterday pegged US gasoline stocks 3.7 million barrels higher last week. The US Energy dept. are out with their estimate around the open of CBOT, they are expected to show a more modest increase. The Fed conclude their two-day meeting today and are not expected to make any changes to US interest rates tonight, but the trade will hang on every word of their accompanying statement. There isn't a great deal of fundamental grains news today, with the market largely treading water waiting for next week's USDA plantings report. Jordan bought 100,000 MT of Black Sea origin wheat overnight. The US harvest is advancing well in the largest producing winter wheat state of Kansas. Yields are mixed, possibly erring on the disappointing side, with quality also an issue following a wet spring. Early calls for this afternoon's CBOT session: corn 2 lower to 2 higher; soybeans steady to 2 lower; wheat 2 to 4 higher. What's going on? In the space of the past fortnight we've had poor defenceless David Blunkett the victim of a happy slapping by a cow, whilst her mates filmed it on a mobile phone and uploaded it to YouTube presumably. We've had a 49-year-old vet trampled to death by a herd of the beasts whilst walking her dogs in North Yorks and now a 46-year-old man has suffered spinal injuries and has been airlifted to hospital after being trampled by a cow on farmland near Bath. No wonder the dairy industry is going down the pan, they'll all be behind bars before long at this rate. Construction workers at the Ensus bioethanol refinery on Teesside are still out on strike today in support of the sacked Lindsey workers, according to the BBC. Whilst other workers at sites like Sellafield have returned to work, the lads at Wilton remain on strike despite the fact that there is no dispute with Ensus themselves. National newspapers were full yesterday of poignant images of Ensus workers burning used Gregg's pastie bags in an emotional symbol of solidarity with their Lindsey colleagues. Around 200 workers are also reported to be still out on strike at the Drax power station, after talks there this morning failed to persuade them to return. Question: What do you do when you've annoyed the buggery out of most of the nation's arable farmers by encouraging them to book their fertiliser at what turned out to well over the prevailing market price with helpful marketing "advice" such as "if you don't book it now there won't be any" etc? Answer: Come out with a tempting offer next time round, get everyone excited, but restrict the tonnage available at this special "sale must end at 6pm today" approach, turn the phones off & disconnect the fax. Wait for the price of wheat to drop like a stone, announce a price increase, hinting at more to follow, trot out the "if you don't book it now there won't be any" line again, sit back and wait for the orders to flood in. Priceless. A year long investigation into the role of speculators in the US wheat market was released by the Senate yesterday. The 247-page report points the finger at long-only index traders for driving up the price of wheat last year, and also lays some blame on the doorstep of the Commodity Futures Trading Commission (CFTC) for, in some cases, waiving the 6,500 limit on the number of wheat contracts that can be held in the hands of a single investor. CFTC data shows that, between 2006 and mid-2008, six un-named index traders had held up to 130,000 contracts between them at any one time. With the total number of outstanding contracts attributable to index traders being around 200,000 contracts, this means that almost two-thirds of the entire open position held by index traders was in the hands of just these six. On one occasion one lone trader held up to 53,000 contracts, or a quarter of the index trader market. During the last few years index trader money in the wheat market soared "from an estimated $15 billion in 2003 to around $200 billion by mid-2008," says the report. Somebody clearly needs to be regulating the regulator. My Uncle runs a factory in Oxfordshire manufacturing plastic garden gnomes. 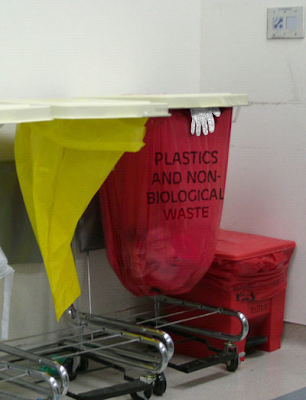 He's done quite well for himself over the years, but business has taken a downturn recently. It all started about five years ago, with a sudden large influx of cheaper substandard gnomes coming in from Eastern Europe and the FSU. So Uncle Alf decided that the only way he could match them on cost was to double production. He spent thousands on a special plastic gnome widget prefabricator, brought in from China. He extended his warehousing and was soon producing more gnomes than you've ever seen. Business was brisk, garden centres all over the country wanted 'Alf's Gnomes' and he was also exporting gnomes all over the world. Then one day the government introduced some new legislation that meant that BP, Shell et al were going to be forced to make bioethanol out of plastic gnomes. He put in six new special plastic gnome widget prefabricators, at a cost of £50 million, and got a loan from Ocean Finance to spread the cost over twenty-four easily-affordable repayments. He extended the warehouse to cover half of Oxfordshire, employed 500 new gnome manufacturing operatives and pretty soon was producing fifty million gnomes a year! Unfortunately for Uncle Alf, rival gnome manufacturers all over the world also cranked up production to unprecedented levels. The Shell and BP gnome refineries were either slow to start-up or didn't get built at all. In short, the arse fell out of the garden gnome market. Suddenly, nobody wanted his gnomes, and he had a warehouse bursting at the seems, full of fifty million of the buggers, an entire year's production. Russian and Ukrainian gnomes flooded the market. Egypt were buying gnomes that were really only elves with forged papers. Spain took a few off his hands, they have a problem with gnomes melting under the hot Spanish sun, and are always in the market for replacements. But apart from that he was stuck, the UK market had dried up as people cut back on gnome-related expenditure in the face of the credit-crisis. What, oh what, was Uncle Alf to do? Gnomes were his life, that's all he'd ever done. That's right, he decided to produce even more of the buggers the following year, pinning all his hopes on the magical intervention of the gnome fairy. Night, night boys & girls. July soybeans closed at $11.79, up 27 ½ cents, and November soybeans at $10.04 ½, up 23 ½ cents. I can't understand why new-crop beans are so firm, all the indicators point to this market being massively overpriced. I can buy into the idea that old crop stocks are very tight, tighter even that the USDA portrays them, but for new-crop it's a very different story. US plantings will be the largest on record for 2009/10 and so will be the acreage in South America. July corn closed at $3.89, up 3 ¾ cents. July corn prices have declined about 70 cents from the early June highs bouncing off the $3.80 technical support. Very hot and dry forecasts for most of the Midwest this week may stress newly planted corn. Next week's USDA report is likely to be bullish for corn, with anywhere from 1-2 million acres being switched into beans, according to most reports. Crude oil rallied a full 3 dollars a barrel from today’s lows, which also helped. July CBOT wheat closed at $5.46 ¾, up just ¾ cent. Old crop stocks still weigh on the market, and the 2009/10m harvest is underway. Yields however seem to range from disappointing to "OK" so there could easily be some hefty downwards revisions is final production levels yet for the coming season. 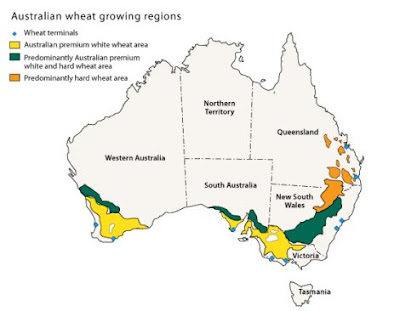 Australia's ABARE came out this week with a global production level 20 MMT below that of the USDA's most recent estimate. They also raised usage by 13 MMT from last month. EU wheat futures closed flat Tuesday, as prices arrested the very steep declines seen already during June. November Paris milling wheat closed up EUR1.00 at EUR143.25/tonne, and London November feed wheat ended unchanged at GBP114.50/tonne. The July London wheat future hit a recent high of GBP124/tonne on 1st June, but has fallen as much as GBP24/tonne since then, before closing slightly off those lows at GBP101.50/tonne today. During the same period the November Paris future has dropped EUR24/tonne, from a high of EUR165.20/tonne to yesterday's low of EUR141.20/tonne. Plentiful old crop stocks are still around, DEFRA's forecast of the UK exporting 3.7 MMT in 2008/09 looks unlikely to be reached, which means maybe we will take an extra 2-300,000 MT of carryover into next season. The northern hemisphere harvest is either underway, or shortly will be, so it should be no great surprise that prices are depressed. We might as well kill ourselves, right? Erm, you could always try not selling wheat if it's below the cost of production. 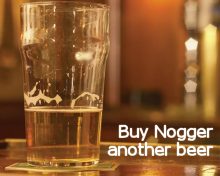 The market is all about supply & demand, so don't supply the bloody stuff, what is there to lose? If they want it, they will come! More on this theme tomorrow. The overnight markets closed a little steadier, partially correcting last night's steep losses. Beans closed with gains of around 12-16 cents, with wheat around 3 cents higher, and corn just fractions into positive territory. A modest bounce by the Dow Jones Industrial Average futures, correcting a 200 point nose-dive last night, and slightly weaker dollar were modestly supportive for grains. Crude is hovering around $68/barrel, nervously awaiting the API stocks data due later tonight. China estimates it will import 4.341 MMT of soybeans in June and a further 3.558 MMT in July. The USDA will undoubtedly raise it's planting figures for beans next week, and lower those for corn. A sharp increase in soybean acres should equate to a large increase in ending stocks for next season, with increased production also expected from South America lower US exports are surely a given? Depending how much they reduce corn acres, you could make out a case for being modestly bullish corn however, as that will also mean reduced 2009/10 ending stocks. Meanwhile the US wheat harvest is soldiering on, whist reports coming out of Kansas are better than the disaster areas of Oklahoma and Texas, they are still only "mixed" from the country's top-producing winter wheat state. 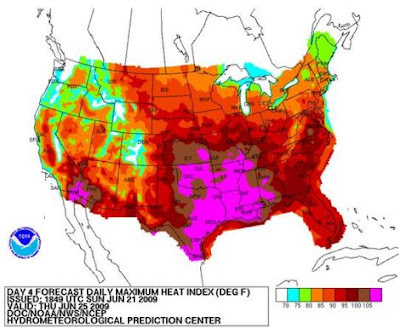 on the weather front intense heat has arrived across the Plains and Southern Corn Belt, marking the beginning of the season’s first heat wave, says Allen Motew of QT Weather. Readings will consistently reach 100 degrees over the next six days in Kansas and Nebraska with upper 90’s across Missouri, Illinois, Arkansas, Tennessee and Kentucky. On the periphery of this heat wave, a favourable rain soaking will hit the only “drought regions” of the Midwest - across E South Dakota, Minnesota and Wisconsin, he adds. Unwelcome rains will further cause fits for farmers yet to plant in SE Illinois and C and S Indiana where up to 400% of normal rain all ready has fallen so far this month, he concludes. Early calls for this afternoon's CBOT session: Corn steady to 2 higher, Soybeans 10 to 15 higher, Wheat 2 to 4 higher. The lack of autumn rainfall in Western Australia means that many winter crops were dry sown or not sown during the optimal planting window as growers waited for rain, warns ABARE. 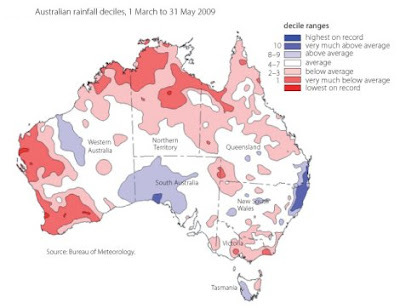 However, widespread early June rainfall has provided some relief, but a moderate to strong shift in the odds toward warmer than normal conditions across southern Australia, and particularly in Western Australia are a cause for concern, they add. D1 Oils faces an uncertain future after announcing losses of £33.6m for the year ended Dec 31st 2008, and saying it does not expect to make a profit in the next two trading years. The company closed two refining sites in Bromborough and Middlesbrough last year, to concentrate on a joint venture with BP to develop jatropha into a replacement for food crops as a source of biodiesel. The firm is still trying to sell it's Bromborough refinery, which was only operational for less than eighteen months. Crude oil is down this morning, with the July contract having expired last night at $66.93/barrel, August now becomes the front-month for WTI crude, currently standing at $67.43/barrel. A lot of the bullish enthusiasm that was seen a month or so ago seems to have waned. The market seems to have switched from "Hey, the great recovery is underway" to more like "Thank God, the slowdown has slowed down." Wall Street suffered it's biggest one-day loss in two months last night, and cautious comments from the World Bank regarding the uncertain nature of any recovery have got the market thinking that maybe it has got a little ahead of itself. There is also concern over the usual round of weekly stocks data due out today/tomorrow, after last weeks numbers showed an unexpected rise in inventories. The American Petroleum Institute (API) will release it's US stocks numbers at around 21.30 BST tonight, and the US Energy Information Administration (EIA) will give us it's version at around 15.30 BST tomorrow. Rare Breed Pork, 30lbs for £30! Well, they will be rare if they keep killing & eating them won't they? What's the alternative? Ministers vote for more inhumane killing of farm animals? Large areas of Ethiopian agricultural land are reportedly under threat from locust swarms, according to the Food and Agriculture Organisation (FAO). "Reports that locust swarms have been confirmed in seven regions in the country, including in areas where there is no previous record of infestation," they say. The swarms are coming from northern Somalia, according to the UN Office for the Co-ordination of Humanitarian Affairs. Presumably, concerned about the threat of hijack by pirates? Following on with the theme of have we now seen a top in the soybean market, I thought I'd check out some seasonal trends to see how things have panned out in previous years. The research has thrown up some interesting information. Since 1970, either May, June, July or August prices made the yearly high in 22 of the 38 years. 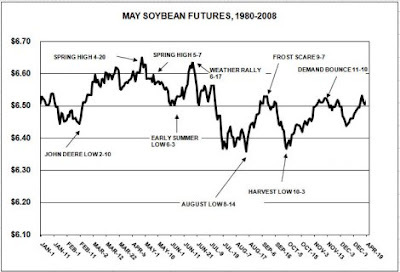 The worst months to sell beans were February and March — not once in the last 38 years did either month’s price make the yearly high — closely followed by the harvest months of September, October and November whose monthly prices each led just once since 1970. If you look at the seasonal trend, there is a tendency for the market to dip in February, commonly referred to as the John Deere low, followed by a rally to the spring high, frequently set around May. We then have an early summer low as planting gets underway and before any weather scares emerge, frequently followed by a weather-related rally to post a yearly high in June. After that the market often dips quite sharply setting an August low, before staging a mini rally, before finally slumping to a yearly low at harvest-time in October. Once harvest pressure has subsided, the market often recovers quite sharply during November/December and through into January, before the whole cycle starts over again. It is interesting to note the strong seasonal tendency for the market to fall out of bed mid-June, stage a half-hearted weather-related scare mid-July, before completely capitulating into an August, then October harvest low. It is also worth noting that these two lows are usually well below the February John Deere low, which was around $8.50 this year, suggesting that a move to $8/bushel might be on the cards by October for the November future. That's $1.80, or around 18%, below last night's close. You can all buy me a beer on the strength of that lot if it comes to pass. Right, who wants to buy any forward soya or rapemeal? 20% harvested, against 9% last week and 31% on the five year average. 4% poor/very poor, against 3% last week. 77% good/excellent against 76% last week. 7% poor/very poor, against 5% a week ago. 70% good/excellent, unchanged from last week. 91% planted, against 87% last week and 95% on the five year average. Conditions are 6% poor/very poor, the same as a week ago, good/excellent is up one point to 67%. July soybeans closed at $11.51 ½, down 27 ½ cents. A much drier forecast for the week ahead will help get the remainder of this outstanding soybean crop planted. Certainly for new-crop there isn't much bullish news about. The USDA is expected to confirm private analyst reports next week that there will be a record acreage of soybeans planted in the US this season, and by some considerable margin. Old crop still looks tight though, with China importing 3.519 MMT of beans in May, according to the government body there. A firmer dollar and weak crude did nothing to support soybeans today. This market looks very much like one that has peaked, although old-crop could still prove technical, I wouldn't touch new-crop with somebody else's barge pole. July corn closed at $3.85 ¼, down 14 cents. There is not such a clearly defined argument to be bearish corn as beans. Some of the extra acres that the USDA are expected to find next week for beans will have come from corn. Until the USDA come out next week, we won't know how many. Next season's ending stocks are also likely to be revised lower, and the current season's exports continue to run along very well. From a demand point of view, IF the US government were to increase the ethanol blending mandate, then we could see a lot more off take coming in from that sector. July CBOT wheat closed at $5.46, down 9 ¼ cents. Wheat is paddling a different canoe to corn and beans, this market topped out a whole lot earlier than the other two and is influenced by some quite different factors, not least a completely different growing season. Next week's forecast for significantly higher temperatures than what we have been seeing will advance the harvest. Reports coming out of Kansas are mixed for early winter wheat which was just 5% harvested as of Sunday, meanwhile Texas was at 53% harvested and Oklahoma was at 63% done. EU wheat futures closed lower yet again with Paris November milling wheat futures ending down EUR3.00 at EUR142.25/tonne, and London November feed wheat finishing down GBP2.75 at GBP114.50/tonne. London wheat futures have only closed higher in two sessions during the entire month of June, with Paris futures only bettering that by one. Over the course of the month London November is down GBP20/tonne, and Paris November EUR23/tonne lower. Large carryover stocks and the impending harvest are weighing on prices. Although farmers are far from keen to sell at current levels, consumers believe that there will be some element of forced selling due to lack of storage. In the US, wheat futures are also on the decline, along with corn and soybeans, as global economic uncertainty largely keeps buyers out of the market. The overnight grains closed lower, having traded under steady pressure throughout most of the morning. Beans closed 11 cents down on nearby July, and around 16-17 cents lower on new crop months. Corn finished around 10-12 cents lower and wheat down around 10 cents. Private acreage estimates from Informa and Allendale released Friday are strongly bearish for beans, showing around 2.5-2.9 million more US acres being planted this season than the current US estimate. Old crop stocks are still tight, and the delayed plantings could still potentially lead to some fireworks pre-harvest as availability potentially dwindles to a trickle. For new crop though, things look undoubtedly bearish for beans unless we get a serious weather scare later in the summer. In addition to increased supplied from the US (which will likely double or even treble ending stocks for 209/10), Argentine farmers are expected to plant the highest acreage on record next season. Punch-drunk and on the ropes from eighteen months of drought and crippled earnings from punitive export taxes, Argentine farmers are expected to have one last throw of the dice by planting 15-20% more soybeans than ever before next season. They've got plenty of unplanted wheat acres to begin with, and will be keen to plant beans at these prices despite the export tax, assuming that they finally do get some decent rains before planting time comes around again. Planting wheat and corn are seen as riskier options as the government is far more likely to limit exports and depress local prices for these commodities. US corn is a bit more of a conundrum, with Informa and Allendale miles apart on their acreage ideas. Informa seeing a sizable switch from corn into beans and Allendale saying the extra acres will come from double-cropping with winter wheat. The wheat harvest in Kansas in underway, which will add a bit of pressure, as too will eastern Europe gearing up to get the wheat combines rolling. Crude oil is back under $70/barrel, currently trading a tad over $68, and Wall Street is expected to open lower, which will add a bit of outside pressure. Early calls for this afternoon's CBOT session: corn called 10 to 12 lower; soybeans called 10 to 15 lower; wheat called 8 to 10 lower. Just days before the Argentine mid-term elections, Argy farmer leader Alfredo De Angeli, head of the Small Farmers' Association in Entre Ríós, has well & truly put his foot right in his mouth by publicly suggesting that farm owners should "put their employees on a pick-up truck and tell them for whom to vote for." Other farm leaders have been quick to round on De Angeli, saying his comments were "unfortunate" and "inappropriate". The head of the FAA Argentine Small Farmers Association, Eduardo Buzzi, went a few stages further than that saying that De Angeli "has a little problem of excessive prominence" and recommended he should go to see a psychologist. Being asked to retract his comments, De Angeli said that he had encouraged farm owners to take their employees to polling stations only because in many cases they "lacked any transport means" and that he meant farmers "who not to vote". Not surprisingly, the government have been quick to seize upon De Angeli's remarks as "a model where farm workers aren't treated as citizens." Peronist Victory Front Deputy, José María Bancalari, said that De Angeli's comments reminded him of the time "land owners, in 1946, seized their employees' documents and decided who they would vote for," so that Juan Domingo Perón wouldn't win the elections. A strong case can easily be made that soybean prices have peaked, certainly for new-crop months, for the time being. Informa Economics and Allendale both issued sharply higher planting estimates for the US 2009/10 crop on Friday, the forma (ha ha!) coming out with 78.9 million acres and the latter with 78.484 million. That puts plantings some 2.5-2.9 million acres higher than the USDA's March estimate of 76.024 million acres, and even that estimate was an all-time record for soybeans. The current highest area ever planted was last season's 75.718 million. Very early indications from Argentina are that they will plant a substantially increased acreage for their 2009/10 crop. With plenty of land not going into wheat this year, Argy farmers are expected to plant 19-20 million hectares of beans for next season, up 15-20% from the record 16.6 million planted last season. Despite the controversial export tax, the soy market is not vulnerable to the political tinkerings with export permits that have until recently brought the trade in Argentine wheat and corn to a standstill. All this rather makes $10/bushel beans look like one hell of a sale for new-crop positions, and has a strangely reminiscent feel to that of the wheat market twelve months or so ago. Back then, the world & his wife planted wheat everywhere 'including their own backyard' leading to the bumper 2008/09 production that is still depressing the market even now. It should come as no great surprise therefore that with spot beans over $12 and new crop over $10, US farmers decided to start readying their own back yards once again, this time for beans. With spring wheat and corn plantings delayed in some areas, the carrot going for beans at $10+ instead seems to have proven to be a no-brainer. Interestingly, despite broadly concurring on soybeans, Informa and Allendale are miles apart on corn acreage. Informa say 83.111 million and Allendale 84.775 million. in March the USDA came out with a surprisingly optimistic (even then, before the rain) 84.986 million. Informa clearly see plenty of corn acres being switched into beans, either by virtue of some US farmers being unable to get their corn in on time, or the relatively high price of beans proving simply too tempting for others. Allendale see it quite differently, with only a slight reduction in corn acres. Reduced plantings in Missouri, Illinois, Indiana, and North Dakota will mostly be made up by increases in Nebraska and Iowa, they say. So where does their big soybean increase come from? Principally double cropping with winter wheat, although some spring wheat area (331,000 acres) will be switched into beans, the vast majority of these extra acres will come from newly harvested winter wheat, according to Allendale. The USDA will be out on June 30th with their revised estimates, but before that we have planting progress and crop condition reports to look forward to tonight. Last week the key soybean states of Illinois and Indiana, which together grow a quarter of the US soy crop, still had some 3.3 million acres (1.3 million hectares) of soybeans yet to seed. With its harvest now underway, the Ukraine will produce only around 38-39 MMT of grain in clean weight this season, according to various private estimates. That's a reduction of around 27-29% on last season's bumper crop of 53.3 MMT. Alexei Blinov, economist at Astrum Investment Management, forecasts that output this season will come in at 'nearly 38 MMT' according to media reports. Local growers had only limited access to financial resources from the beginning of the credit crisis and have used significantly lower volumes of mineral fertilizers compared to 2008, he said. The nation's grain crop was also hit by sharp frosts in April, which led the government to reduce the official estimate for this season's grain crop to 42-43 MMT at the beginning of the month, from it's earlier estimate of 48 MMT, warning that this revised figure was not final and that further downward revisions were likely. 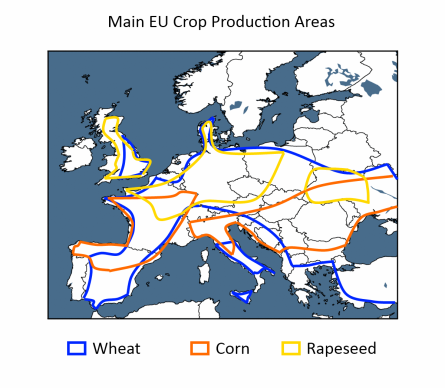 Now that these eastern European countries are harvesting, or about to start, it is interesting to note that production estimates are suddenly getting cut quite sharply. This season's Russian wheat crop is seen by SovEcon coming in at around 58-61 MMT in clean weight, according to media reports. That's down on last season's bumper crop of 63.7 MMT, but higher than earlier trade estimates of around 55-56 MMT. Russia's western Volga region, where the bulk of the country's winter wheat is grown, has suffered from the dry conditions which have also affected many parts of Eastern Europe. However, spring wheat plantings in Siberia have increased to an estimated 14.9m-15.2m hectares, up from 14.0m hectares last year, on the back of largely favourable weather. Russia's harsh winters mean that spring wheat is much more widely grown than here in the West, typically accounting for around 40-45% of total national output.